Scott’s practice focuses on representing clients in a wide range of business transactions and tax and tax-exempt matters. He has represented clients on numerous multi-million dollar stock and asset acquisitions, mergers, sales, and joint venture transactions. He serves as outside legal counsel to a major university supporting foundation and academic medical center. 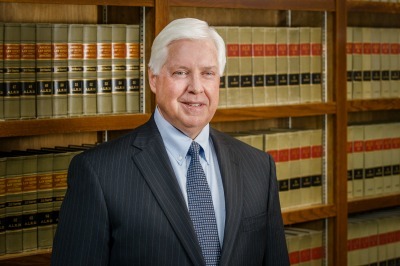 His practice includes representing clients in all aspects of federal and state income tax, including like-kind exchanges, conservation easements and New Markets Tax Credit transactions, state and local sales, use and occupation tax, and representation before the IRS and state revenue departments. He advises numerous tax-exempt organizations, including nonprofit hospitals and other health care organizations, colleges, governmental organizations, utility providers, charitable organizations and private foundations, in all aspects of entity formation, governance, fiduciary duties of board members, state law compliance, federal and state tax planning, compliance, reporting and representation, policy and program development, planned giving, joint ventures with for-profit or other nonprofit organizations, mergers and dissolutions. Scott’s practice also includes advising individuals and business clients regarding the selection and formation of business entities, governance structure, transition planning, including buy-sell agreements, restrictions on the sale of equity interests, options and first rights of refusal, resolution of disputes involving minority rights and involuntary dissolution, employment agreements, independent contractor agreements, service agreements, confidentiality and non-compete agreements, letters of intent, and the negotiation and document preparation for asset and equity-based transactions involving the purchase or sale of business entities or divisions thereof.